10 amazing links that will restore your faith in humanity. Because we need it. #10. This ICU Grandpa who cuddles premature babies. For more than 12 years, this father of two and grandfather of two has been volunteering to care for patients—and their families. Remember that for every evil man who destroys, there are thousands of good people who help. In this short interview clip with Fred Rogers, he explains what his mother told him to do whenever there is a catastrophe: look for the helpers. When someone scrawled racist messages at a student barracks last week, Lt. Gen. Jay Silveria, along with USAFA leadership, addressed the entire Cadet Wing and USAFA Preparatory School. Lt. Gen. Silveria left no uncertainties that racism has no place at the Academy. Sometimes it’s easy to think the worst of human beings. But these inspiring talks can help you remember: altruism, kindness and helping hands are all around. 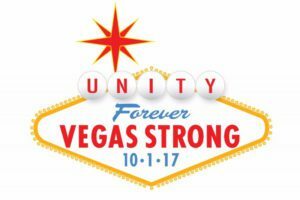 The Las Vegas Victims’ Fund, set up by Clark County Commission Chair Steve Sisolak has raised nearly 9 million dollars. Three million of that came from MGM Resorts International and $50,000 each was donated by the Oakland Raiders and NFL Foundation. Funds will be used to provide relief and financial support to the victims and families​. As we reported Monday, many of the donations are coming in $10, $20 at a time. Tom McIntosh was among the hundreds who were wounded in the Las Vegas mass shooting when James Lawson, a complete stranger with Army Reserves training as an EMT, used a belt to fashion a makeshift tourniquet. “I wouldn’t have made it,” McIntosh says. “There’s got be hundreds of stories like this one,” Lawson says, and thanks the driver of the vehicle that took McIntosh to the hospital. #2 Harrison Ford and Ryan Gosling cracking each other up in this interview. Because I’m a woman putting this list together and … ’nuff said. Have more to share? Be sure to post on our social media!